“You have to realise that addiction doesn’t discriminate. It affects everyone, regardless of their background or social status” Chalamet starts off the evening. 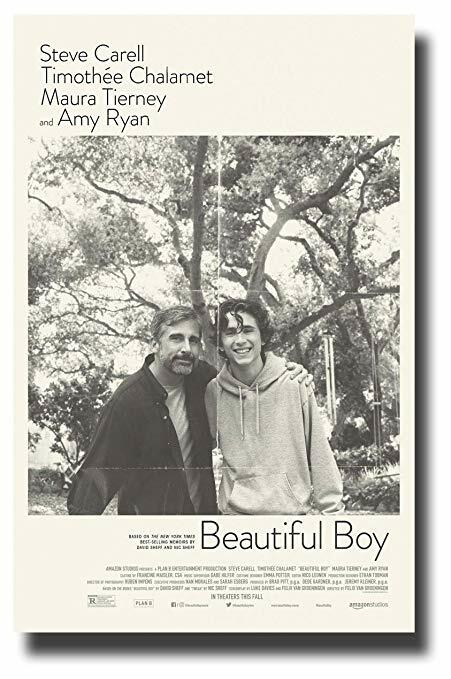 Beautiful Boy is based on a matching set of memoirs: The original book written by author and journalist David Sheff who narrates his crippling account of trying to help his son Nic in his battle with crystal meth addiction. It was followed by Tweak – written by Nic Sheff himself, about these same experiences. Nic Sheff is currently eight years clean. In the United States of America, the main cause of death for people under 50 is drug overdose. Last evening, Addaction, a charity set up to support people battling substance abuse, partnered up with Studio Canal for an exclusive screening of Beautiful Boy. 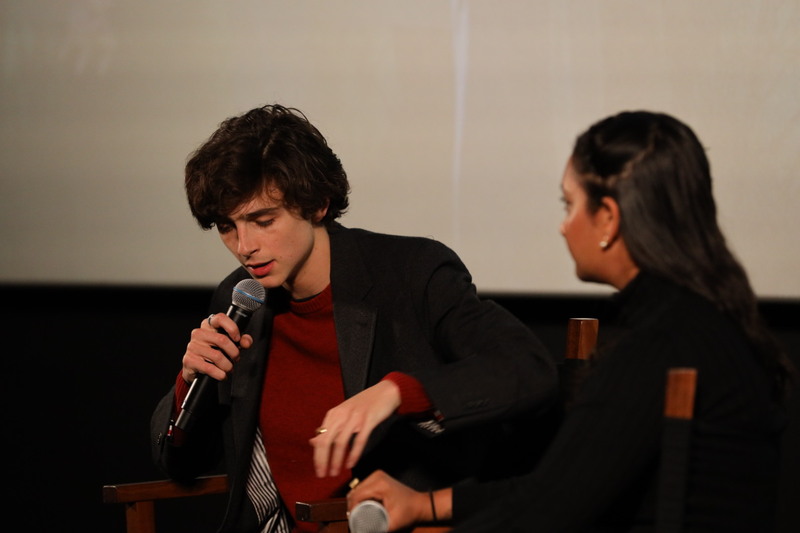 The screening was followed by a Q&A with supporting actor Timothée Chalamet. It’s easy to point out mistakes and make up false assumptions that the narrative should have played itself out differently. But doing so completely defies the purpose of the film – which is to raise awareness. Steve Carell [David Sheff] and Timothée Chalamet [Nic Sheff] delivered impeccable and compelling performances. The latter earned himself a Critic’s Choice, BAFTA and Golden Globe nomination for Best Supporting Actor. It will come as no surprise if Chalamet is nominated once more for an Academy Award for his harrowing portrayal of Nic Sheff’s struggle with crystal meth addiction. Directed by Felix Van Groeningen, the film’s cinematic appeal lies in the reality of its cinematography. Instead of romanticising the topic, Groeningen lifts the lid upon the crippling truths that lie behind the closed doors of an upper-middle-class family. The story of David and Nic Sheff is the story of many families struggling with drug addiction. The fact that substance abuse has been solely associated with certain social groups and even romanticised in song lyrics is part of the problem. The narrative is designed to be about the father-son relationship, which can be nuancedly transferred to any of his family members if one deems it necessary. Focusing on more than one relationship would have been counter-productive. In a film embedded with emotional turmoil, it’s enough to have one clear and accurate depiction in order to compel the viewer to make the necessary analogies. It’s easy to link Nic’s addiction to privilege. We see him buying drugs, nobody is buying them for him, However, linking Nic Sheff’s privileged upbringing to his disease and blaming it on his allegedly ‘toxic relationship’ with his father simply reinforces the stigma. Most people suffering from addiction have underlying mental health issues – another stigma still present in today’s pop culture. Mistaking mental illness for a tantrum or a ‘spoiled upbringing’ only leads to more stigma. In the first scene where we see Nic Sheff sober after years of battling relapses and overdoses, he delivers a compelling quote: “Alcohol and drug abuse are not the problems. They are the way in which we deal with the problems”. The more thorough our understanding is, the more means we have to help. “When you’re young, it’s like you’re shopping for a personality,” Chalamet says. Which is why so many youngsters are affected and so very few are asking for help. If you can leave the theatre with a single lingering feeling, let that feeling be humanity. The more human we are, the less ‘beautiful boys’ we will have to lose. “We live in an age of dissolution” Chalamet concludes. The only way to combat dissolution is to face it head-on. And for those affected by mental health issues and substance abuse, acting against their own demons isn’t an option. Which is particularly the reason why organisations such as Addaction are pivotal in nurturing a healthy environment for those in need. The point is not to hit rock bottom, the point is to reach out for help before hitting rock bottom. Follow Addaction on Twitter and Instagram for more information on how to get anonymous counselling. Beautiful Boy is officially released in theatres on 18th January 2018 through Studio Canal and Amazon Studios.